Thank you to all who made it to the networking meeting last week. It was great to see old friends as well as new faces. Your presence made us very happy and we are motivated even more to work on our next projects. An exciting year is coming! We present you with a summary of the meeting with a short description of the projects we plan to do in the next few months. Every visual artist should find something here for themselves. 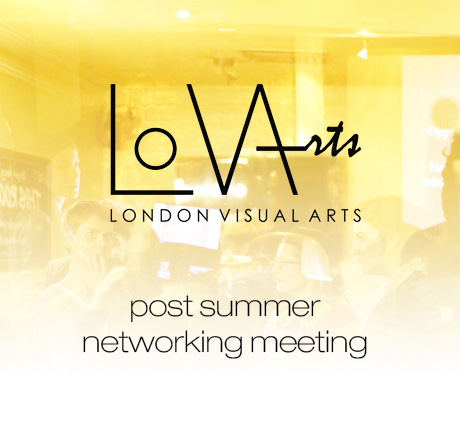 LoVArts will soon begin preparations for a fashion event that will take place in September 2014. Our aim is to be a part of Fashion Week where talented, up and coming designers could show their collections in professional environment. We would also like to incorporate the work of stylists, makeup artists, fashion illustrators, jewellery designers and fashion and beauty photographers. We imagine that our event would mirror the fashion week shows happening in London simultaneously. There is lots of hard work ahead of us and if you would like to get involved and have bold, innovative ideas, please drop us a line. We are on the look out for both those new to the market and established designers so if you know anyone, please spread the word. We will announce the project proposal in early 2014. Let’s start getting talented fashion geeks on board! Another huge project we plan to do is a fine art exhibition where photographers, painters, graphic designers and illustrators are invited to submit their works. The theme of the show will be the relationships artists have with London, and their feelings and emotions connected with this. We are very excited about this show as we expect this to be a serious artistic event in the center of London. We will soon post a brief and instructions on how to submit works. Get ready for an exciting journey! The last project we would love to do is a huge festival in the spirit of ‘Chaos Control’. We want to take over one of the London’s central boroughs and turn it into the artistic district for one weekend. Our vision for this event is very ambitious and we won’t be able to do it without your help. If you’d like to exhibit your works or perform, then get in touch. The more of us there are, the more successful we will be! Watch this space. We will be posting more details soon! This entry was posted in Networking and tagged chaos control, Fashion, Fashionweek, LoVArts, Summer. Bookmark the permalink.